When I was younger my mom made these huge meat balls that were easily one of my favorite meals that she ever created. Every time she cooked them I went nuts. She didn’t have to call me to dinner and beg me to eat, I was in the kitchen with a fork ready to go. I haven’t had them in years, and I never ate any other meat balls besides her’s. I was such a loyal child. For my birthday this year I wanted to recreate her old recipe. 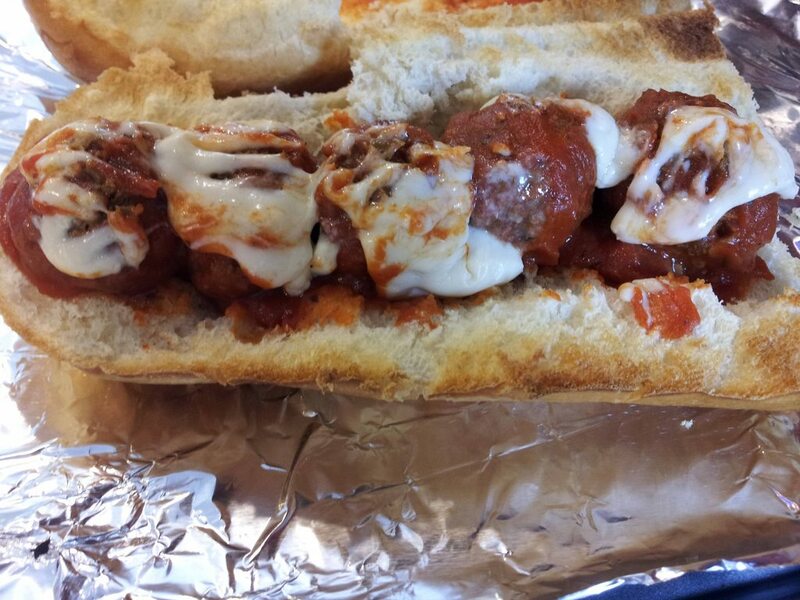 I also wanted it in a sandwich, because I never ever got to eat a meat ball marinara, and well, it’s too late to order one up now. What I came up with worked incredibly well the first time, so I thought I’d go ahead and share. Shred your carrot, chop your onion and mushrooms, and mince your garlic. Heat a skillet with the olive oil over medium heat, and cook your onions and mushrooms until soft. Add all of the ingredients (excluding marinara sauce) into a large bowl and mix until thoroughly blended. Take a spoon and scoop some of the mixture into your hand. Squeeze until it’s stuck together well. Shape into a ball and place on an oiled cookie sheet. ( I covered mine in foil and sprayed cooking spray on it ) I ended up with somewhere around 20 balls I think. You want to make these pretty small so they will cook good, like I mentioned, I used a spoon to scoop and measure and it was perfect. Cook for 10 minutes on 350, then take them out and flip them. Cook for 10 more minutes. 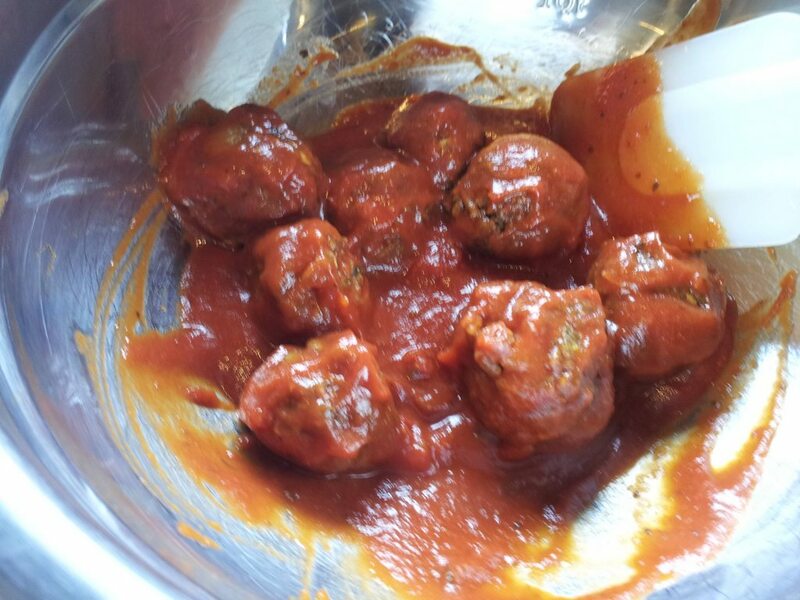 Let them cool for 10 minutes, then toss them in your desired amount of heated marinara sauce. You can put these in spaghetti, eat them alone, or make a sandwich with some Daiya like I did. 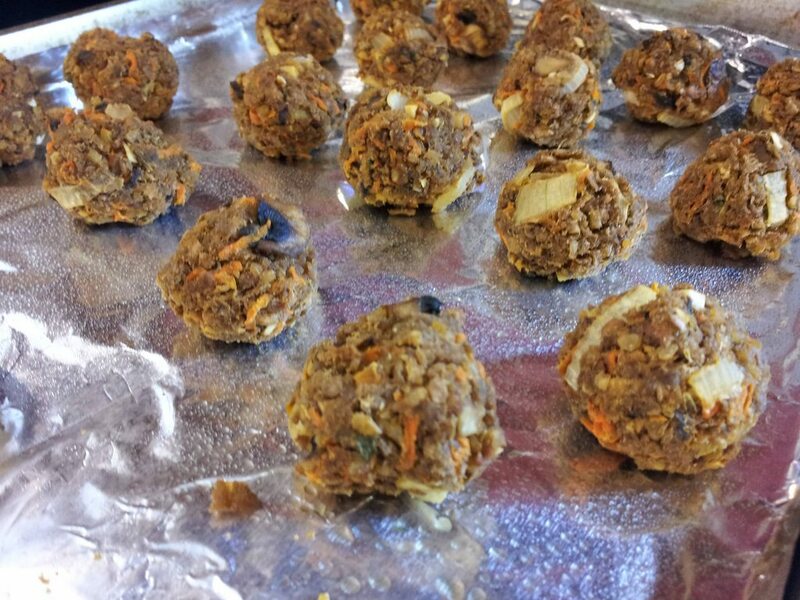 This entry was posted in Recipes and tagged Amy's, carrot, daiya, egg replacer, garlic, marinara, meat ball, onion, sandwich, veggie.